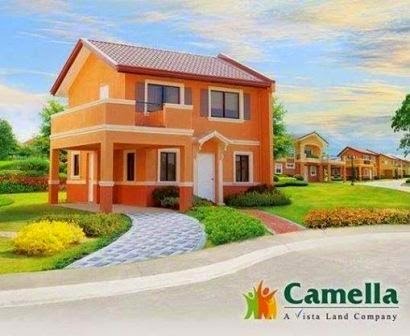 Camella, Vista Land’s flagship housing brand, asserts its dominance in the horizontal housing industry as it simultaneously launches today five new projects in Mega Manila, namely, Camella Verra Metro North in Valenzuela, Camella Carson at Vista City in Daang Hari, Camella Alta Silang in Cavite, Camella Belize at The Islands in Dasmariñas, and Camella Sierra Metro East in Antipolo. This 10-hectare gated community provides homes fashioned after the modern classics – Mediterranean-inspired 2-storey homes replete with quality details and designed with thoughtful space planning in mind. A dedicated amenity area will showcase the clubhouse with gym, covered basketball court, swimming pool and play park, jogging and biking trails. Staying true to the concept of city living, Camella points north of Manila to usher in a modern lifestyle concept perfect for the busy couple on the go, and for families that thrive on active lifestyles. 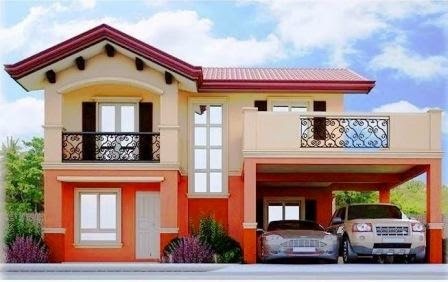 Camella Verra Metro North is located in Bignay, Valenzuela – 20 minutes from SM Fairview, schools, restaurants, banks, transportation hubs, and places of worship. It is accessible via NLEX Meycauayan Exit, Novaliches Bayan via Bagumbong Road, Novaliches via Damong Maliit Road and NLEX Paso de Blas/ Malinta Exit. Adjacent to the progressive developments in Vista City, Camella Carson traverses the inner sanctuary of Daang Hari, in a place where the terrain meanders, where grown Acacia trees abound, where you and your family can revel in the well thought-out central amenity area. It’s a home within the conveniences and attractions of one of Daang Hari’s newest developments, in a vast community of future leisure destinations and active lifestyles. Celebrate the infinite possibilities of a home investment guaranteed to earn great value over the years. Camella Carson at Vista City is conveniently accessible via Daang Hari, which leads to more access points: Daang Hari Exit via SLEX to Makati; from Las Piñas to Alabang-Zapote Road via Marcos Alvarez Road; and from Manila to Coastal Road via Molino Boulevard. Camella Alta Silang can be reached via Aguinaldo Highway, and the soon-to-open Cavite-Laguna Expressway, Carmona Exit, and through Sta. Rosa-Tagaytay Road. Camella proudly introduces its newest enclave at the exclusive The Islands development of Vista Land, Camella Belize. With the attention to detail and the well-designed masterplan of Island Park, Camella Belize at The Islands is redefining the meaning of value-for-money living. Grande home series features bigger home choices with windows and verandas reminiscent of the gracious hacienda estates, BRINGING THE FRESHNESS of the outside in. Of course, with top-class amenities and vast spaces of green to lift your spirits! And as grand entrances go, few equal that of Camella at The Islands, abloom with foliage, it is a true, nature-inspired landmark. 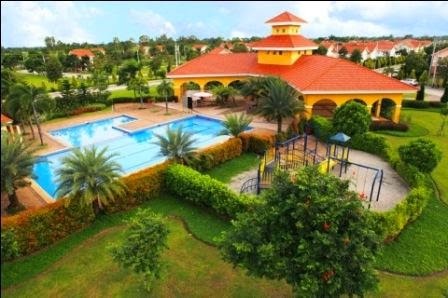 There is also the St. Paul College Island Park inside the masterplanned community, a few minutes away from your home. The sprawling Clubhouse features sports facilities while fun is delivered at your doorstep via the garden trails and brick-layered pathways. Community life hasn’t been this great, from learning to playing, and its many in-betweens, Camella at The Islands creates a lifetime of happy memories for the whole family. Serenity is just a delicious moment away as Camella Alta Silang offers you a whole different vibe – cool and refreshing, peaceful and relaxing resort-community. Spanning 20 hectares of rolling terrain, Camella Alta Silang is a picture perfect community that frames the natural beauty of its surroundings. Beautifully landscaped areas will be dedicated to the clubhouse and amenities, parks and gardens, walking trails, and jogging paths. What used to be a nature’s wilderness of mountains and valleys is now the setting of Camella’s newest residential development haven east of Manila. Tucked away along the tree-lined M.L. Quezon Avenue, in the crossroads of Antipolo and Teresa in Rizal, and only 25 minutes from Ortigas CBD, this higly accessible, secure, and well-designed 8-hectare development features a lush expanse of green, bamboo groves and a natural pond. Camella’s landscape architects will not only preserve the natural contour of the land’s terrain, but will provide residents with landscaped areas showcasing hundred-year old trees surrounded by uphill and downhill Mediterranean-styled homes, creating an enchanting, nature-inspired, sustainable, flood free community. Camella, which has been on the Reader’s Digest’s list of “Asia’s Most Trusted Brands” three years in a row, maintains what it calls its “five pillars” to keep its leadership position in the housing industry. Camella only chooses property sites near schools, hospitals and medical centers, places of worship, shopping malls and leisure centers, government institutions, transportation hubs and main access roads. When Camella builds, it builds for its residents’ upgraded lifestyle; thus, the modern facilities and friendly amenities – an impressive grand entrance, clubhouse, swimming pool, basketball court, playground, jogging paths, and landscaped parks and gardens. Camella guarantees its homeowners' safety with exquisitely designed guarded entrance gates equipped with CCTV, as well as high perimeter fences, and round-the-clock roving security guards. These security features allow families to feel safe in their own homes – as should always be the case – and enjoy worry-free lives every single day, making their homes and community safe havens and comfortable escapes from the stresses and fears of city living. Every Camella home is a landmark of quality and a product of modern technology, built to appreciate in value over time. As more communities are developed, the land value likewise increases, propelling your home investment to profit. Owning your home is easy through flexible financing schemes and payment options. The money used to pay for rent can now be invested in your own dream home. 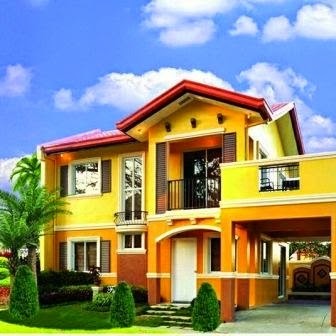 Camella is the subsidiary catering to the mid-market segment of Vista Land – the country’s premier homebuilder. In close to 38 years, it has built an immense selection of affordable, high-quality homes with world-class settings and exquisitely themed communities across our islands – each one carrying Vista Land’s expertise in space planning, carefully thought out and sustainable architecture, and an innate knack for selecting the most accessible and attractive locations. To date, the group has built close to 300,000 homes and maintains a powerful presence in Mega Manila and 35 other key provincial destinations and 76 cities and municipalities. Samwon is the GADGET FOR YOUR BUDGET!!!! Salbakuta Releases Newest Album, "Rebirth"
JayR: The RnB Prince Returns via "Elevated"